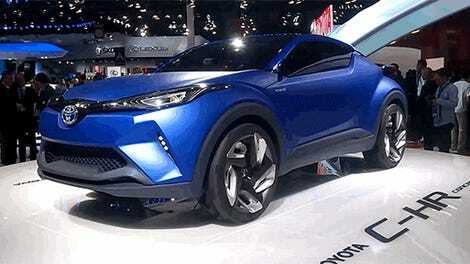 The new Toyota C-HR is meant to take on the Honda HR-V and other dull little crossover/hatchbacks around the globe. It’s not an interesting type of car, and Toyota must know it—the company modified the hell out of a bunch of C-HRs at the Tokyo Auto Salon this year. 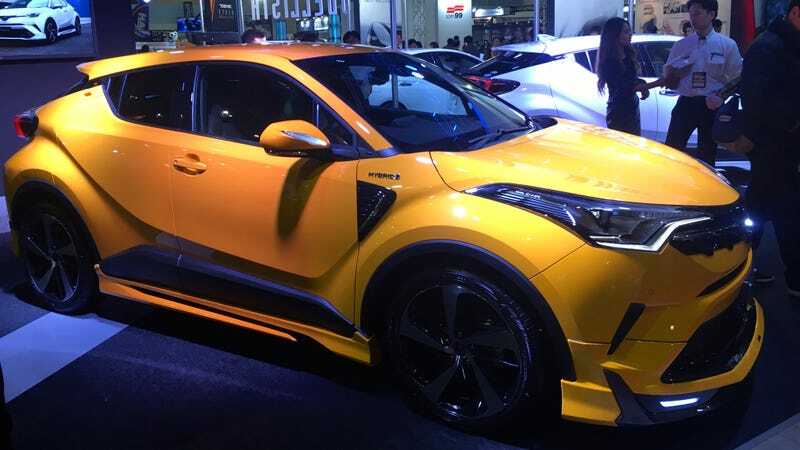 You might be forgiven for believing that despite its relative youth, Toyota’s robotic puppy crossover pal, the C-HR, had already gained itself a particularly strong attachment from Japanese modifiers at the Tokyo Auto Salon. Oh, sorry, no, that’s just Toyota bringing the entire fleet of design prototypes with them. There was the Red GT and its liveried sister from Gazoo Racing. There was the sunny side definitely up camper rally type from Toyota Racing Development. The “can I host a sophisticated banquet on this crossover?” porcelain white C-HR from styleWB (you know, the same team who created the StyleMB Sienta Puffalump last year?). Then there was the insane Modellista “I’m ready to be in the next Michael Bay Transformers Film” edition. Much better Bumble Bee, Right? Right shape this time, at least. And we finally end with yet another cast member of the Fast And Furious Episode VIII: StormTrooper Sizzle, again from Toyota Racing Development. Look, I know the C-HR is popular. As it should be with a global trend towards crossover-ing everything and its adorable robo-pet visage, but... Maybe this was a bit much, Toyota? Just a little bit? I guess all y’all will tell me if I’m wrong.